Over the past two weeks there were several announcements by the Committee that 'August Tuesday' races will return to Ellis Thomas Downs, in Sea Cows Bay on Tuesday, August 7, 2018. 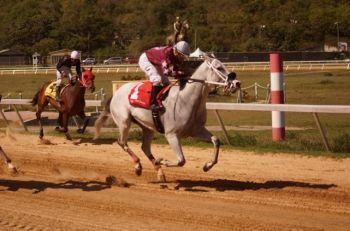 The horse racing event was listed as one of the official activities for this year's Emacipation celebrations by the Festival and Fairs Committee. However, during a brief conversation today, Wednesday, August 1, 2018, President Smith confirmed that this will not happen. While he did not go into details as to the reasons, social media claims suggest that this is due to difficulties in transporting the animals into the Territory. Following the passages of Hurricanes Irma and Maria in 2017, Ellis Thomas Downs was destroyed—including the two grand stands, the track surface and the stables. Three horses also died as a direct result of the hurricanes and others had to be let loose. It is believed that some other activities are being planned both for August Sunday and Tuesday at Ellis Thomas Downs. cancel destra and others save that money and by god will make it grand next year . so start to plan from now for next year. how I coming? Should of been no parade too. Schools, police stations and fire stations need repairing!! Rename it the fashion show race track. Let loose and fed by volunteers because the owners dumped them.